One of the primary use cases for digital analytics tools like Adobe Analytics and Google Analytics (GA) is the ability to track external campaign referrals and see their impact on KPI’s. Way back in 2008 (yes, 8 years ago! 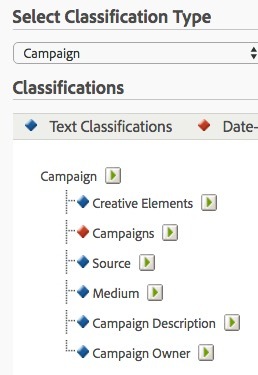 ), I blogged about how to track campaigns in Adobe Analytics (then called Omniture SiteCatalyst). Since then, a lot has changed in the online marketing landscape. With many digital marketers being exposed to Google Analytics, the way campaign tracking is done in GA has almost become the industry de facto standard. The most popular GA method uses a set of UTM parameters to identify the campaign source, medium, term, content and campaign (though there is a “utm_id” option similar to how Adobe does it). These parameters are normally passed in the URL and parsed by GA to populate the appropriate analytics reports. But as Adobe Analytics users know, Adobe uses one variable (s.campaigns) to track external campaigns. So what if you are running both Adobe Analytics and Google Analytics or you simply want to use the Google standard since that is what your advertising agencies are using? In this post, I will show how you can make the UTM campaign code tracking standard work in Adobe Analytics so your campaign data matches what is in GA. If you want more details on the technical implementation of this, you can check out this article on the Adobe forum. It is up to each organization to decide how it wants to track its marketing campaigns. I have many clients who like to customize how assign campaign codes, so please don’t take this post as a recommendation for adopting the UTM approach. A similar process can be adopted no matter what naming convention you decide to use for your campaign codes. However, there are many benefits of adopting naming conventions once they become a standard, such as integration with 3rd party tools and data integration. It is my hope that this post simply educates you on how you can use the UTM campaign code approach in Adobe Analytics if needed. There is more discussion on this topic in Quora if you are interested in delving into the topic in more detail. On the topic of bridging the gap between numbers in GA and Adobe Analytics – do you think it would be feasible to use the GA client id as visitor id in Adobe Analytics (or the other way around, depending on what the leading system is) to synch the way sessions and user are calculated ? I think both system use the id to aggregate pageviews into sessions, so it sounds like this should work (but in real life there are often unforeseen pitfalls, and this is not something easily tested, so I’d be interested in an expert opinion). Great solution for something crucial to get right. What is your experience in the time/effort needed to get this right (implementation and configuration) in Adobe Analytics? Unfortunately there are still many companies out there where campaign tracking is really a mess. Another great way of implementing this using DTM data elements. You just need to capture the URL parameters as data elements and persist them for session. Later using these data elements values you can define campaign settings. How do you handle Adwords gclid auto tagging and capturing the keyword? I know that with paid search detection and that you could set the parameter to populate paid search with ?gclid=, but how do you identify which keyword term this came from? Do you use the ValueTrack parameters in Adwords?